Son of celebrated bowler, Peter Pollock and nephew of the celestial batsman, Graeme Pollock, Shaun was a mix of both. But expectations run high when you hail from a family of legends. So how do you mark your arrival? Easy, you take 4 wickets in 4 balls. Born on 16th july 1973, Pollock became the only the second bowler to achieve this record in a List A match playing for Warwickshire and the world laid eyes upon a new rising star. He snared his first five-wicket haul in his debut test series against England in 1995. On his ODI debut, Shaun scored 66 batting at number eight, and even went out to scalp 4 wickets. He is among the few to hold the record of scoring a fifty and taking four wickets on ODI debut. After his debut, Pollock was out of the team due to an ankle injury in 1996. However, he returned with full vigor and was an integral part of the bowling attack along with Alan Donald in the latter half of the 1990s. After a steady beginning, Pollock had the world’s attention when he took 69 wickets in 14 test matches in 1998, which included his career best figures of 7/87. His uncanny accuracy and ability to move the ball both ways were the pedestals to his consistent performance. He was handed the onus of test captaincy in 2000. Unlike many other captains, his performance flourished with the burden of captaincy and he took his first and only 10-wicket haul during this period, against India in 2001-02. After a convincing start of his captaincy, things turned sour when South Africa suffered a whitewash against arch rivals, Australia in 2001-2002. Pollock was blamed for his country’s early exit from the 2003 World Cup, which eventually cost him the captaincy. With a back injury in 2006, statistics showed that his bowling speed had decreased but his accuracy still remained brilliant. However, he performed brilliantly in the Champions Trophy in 2006, taking his team to the semi-finals. He continued his form in the series against India that followed and was awarded Man of the Series award for both ODIs and tests. The ODI series against Pakistan after that was no different, and he was again the Man of the Series, sustaining his consistent performance. However, he struggled with form and injuries after this before announcing his retirement from Test cricket midway through a match against West Indies. He declared his retirement from ODI cricket in the series that followed. He retired at the age of 35 in the year 2008, playing 13 years of international cricket. 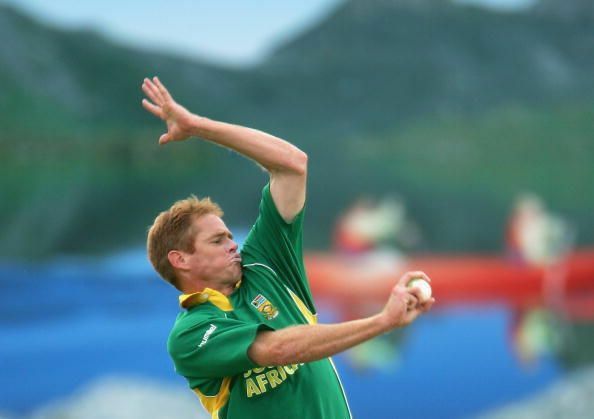 Shaun Pollock continues to remain the highest wicket taker for his country, although his record might be broken by Dale Steyn in the upcoming series against India. Pollock has the record of being the only player to have scored 3000 runs and taken 3000 wickets in both tests and ODIs. What constitutes a "dangerous" pitch?